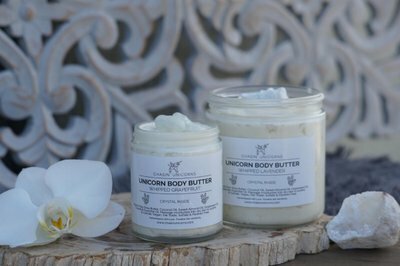 Enter your email address below to receive a notification when Chasin' Unicorns starts accepting new sign-ups! Enter your email address below to receive a notification when Chasin' Unicorns is accepting new sign-ups again. 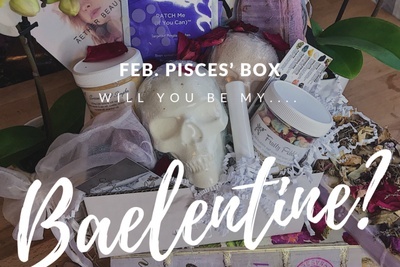 You box will ship on the 15th of each month. 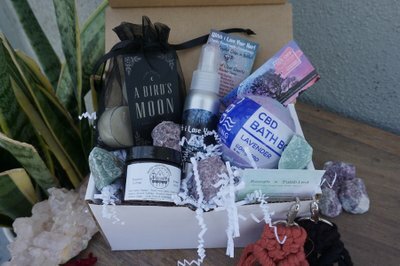 If you sign up before the 15th of the month you will get the box for that month. If you sign up ex. the 20th, you will start next months box. Stressed or Depressed? This is for your soul. 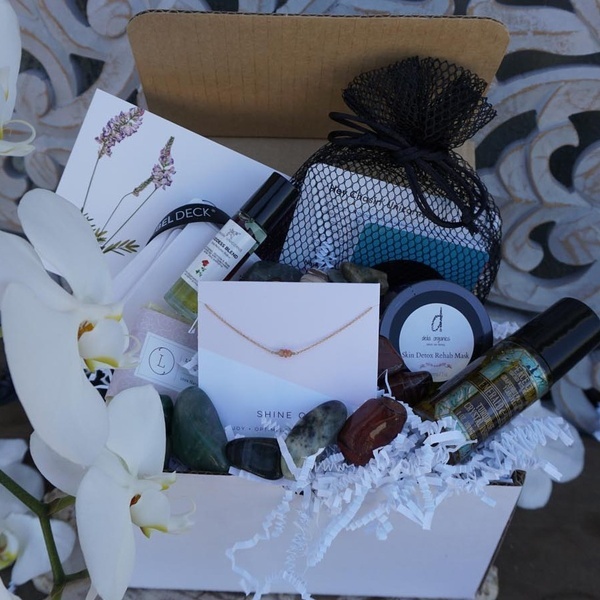 Our boxes are a holistic self care pampering tool, for the modern women to nurture her spiritual practice and inner queen. 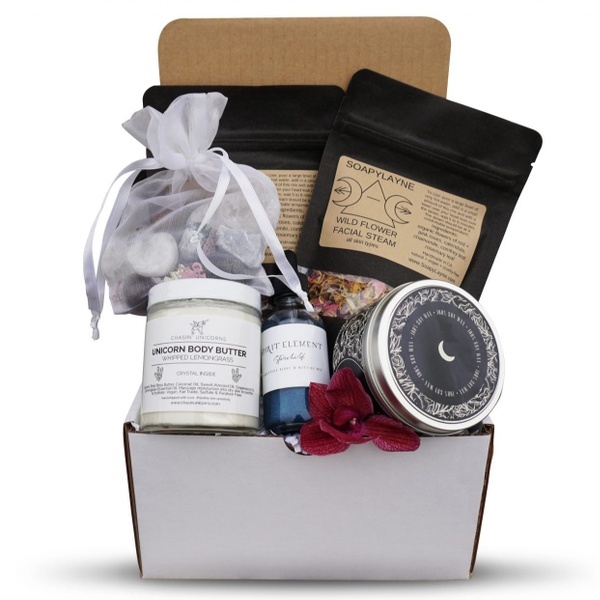 Each box has 5-10 full-size products, totaling for a retail value of $100 each more for only $33. 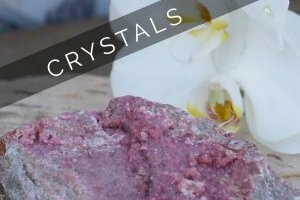 Collect crystals, candles, oils, bath bombs and more so you can start, loving, healing and manifesting your deepest desires. 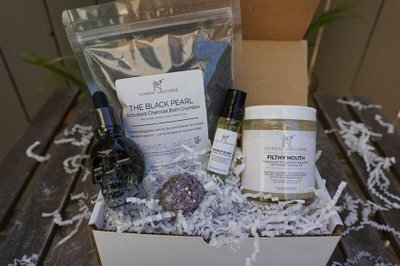 5-8 Full Sized Products, coupled with 3-5 new crystals in EVERY BOX! 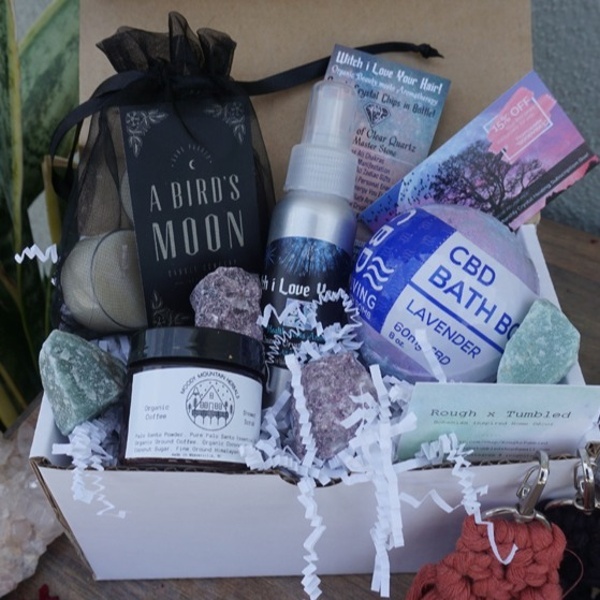 Items include: crystals, candles, bath bombs, shower steamers, aromatherapy, vegan beauty, sage, jewelry, planners, tools for spiritual growth & much more! I would like to give these fabulous ladies a second review. 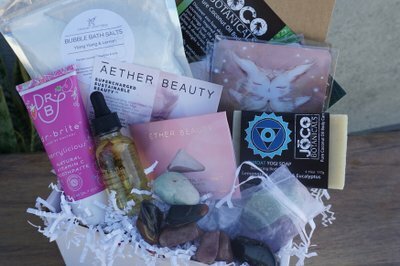 I posted about the Jan box which I was kind of disappointed in because there were no bath products. 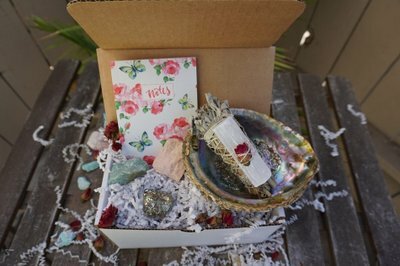 However, I love the stone I got, the yoga socks and the incense I use daily! With that said I gave them a second chance and was not disappointed at all this month! 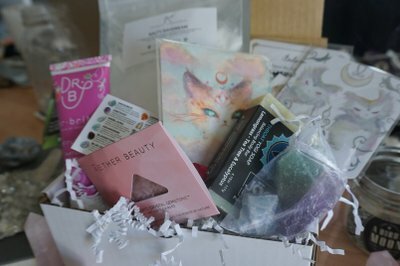 Feb box had TONS of goodies. 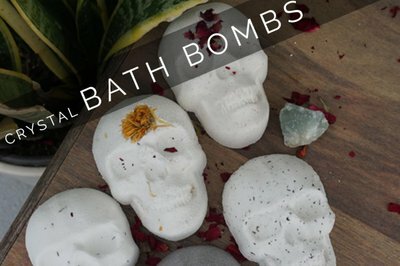 4 of them being bath product related. I've since started following them on FB and IG and you can really see their passion and commitment to their business. 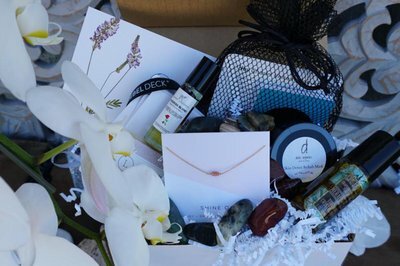 I have since referred every female I know to their website/subscription box! Keep up the hard work ladies. 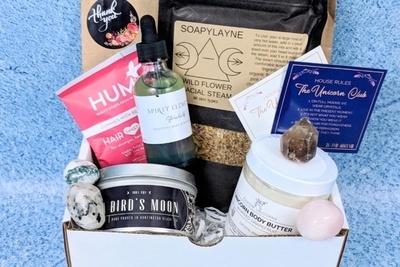 You are amazing and your subscription boxes remind me to take care of myself. You can't pour from an empty cup! I'm so upset about my box, I got more lemon whip for the 4th time. Plus I got the same stones that I already have. I was on the fence if I was going to stick with y'all but after this one I'm not sure. I hope to either get an extra box or my money back. I've received a few boxes now from this group and I have been mostly impressed. 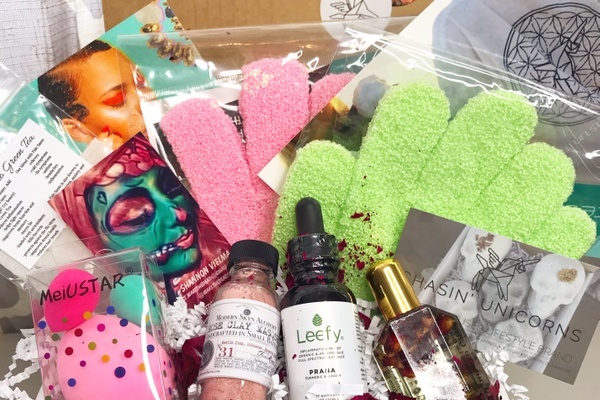 Yeah the Jan box was a complete miss but I do feel they noticed our complaints and listened because the Feb box was great. I personally like the skulls and was happy to see them incorporated in this box. I was missing one of the products from my box but it was pimple patches that I don't feel I'd use anyways but that is why I gave the 4 stars. I feel like these boxes should come complete with nothing missing. 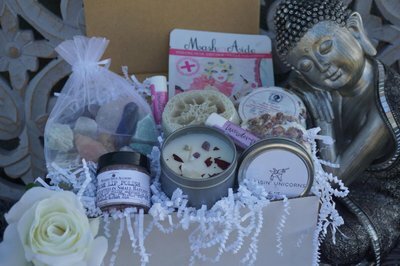 Herbal Facial Steam $18, Crystal Whipped Body Butter $32, Body Oil $22, Soy Candle $20, Bag of Crystals $18. Hum Nutrition Hair Vitamins.